Why are the accounts with password are disabled in the User manager? Everything is good as long as the user has no password. 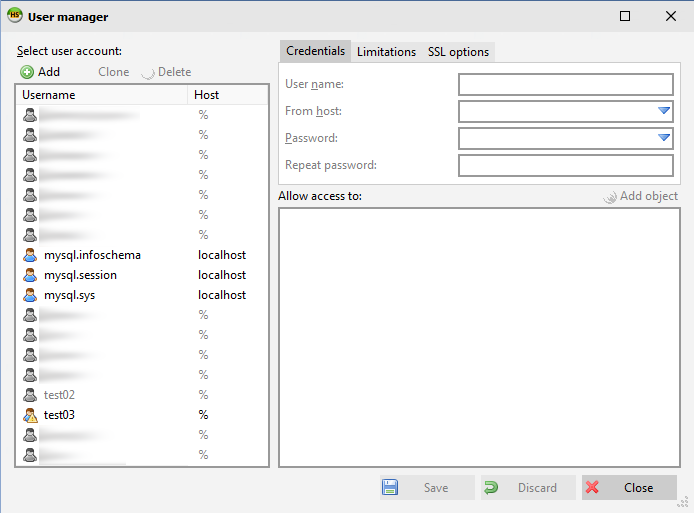 With password, the users are become disabled in the user manager (no modification,clone or delete). See my attached screenshot, test02 and test03 are clones (test03 has no password). I set no password in mysql, and the account become enabled again! I searched the forum/issues without results, do you have an idea what is wrong?